I love apple pies more than you know. The only thing I don’t like is how loaded with sugar they are. Wouldn’t it be great if we could just enjoy the flaky pie crust and the sweet apple without all the added calories from the sugar? 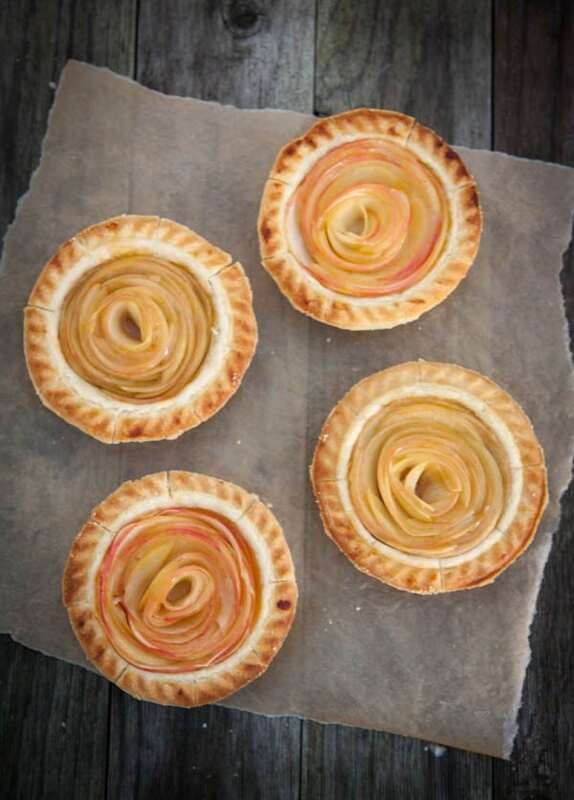 A few days ago I spotted a version of these gorgeous rose pies on Pinterest. 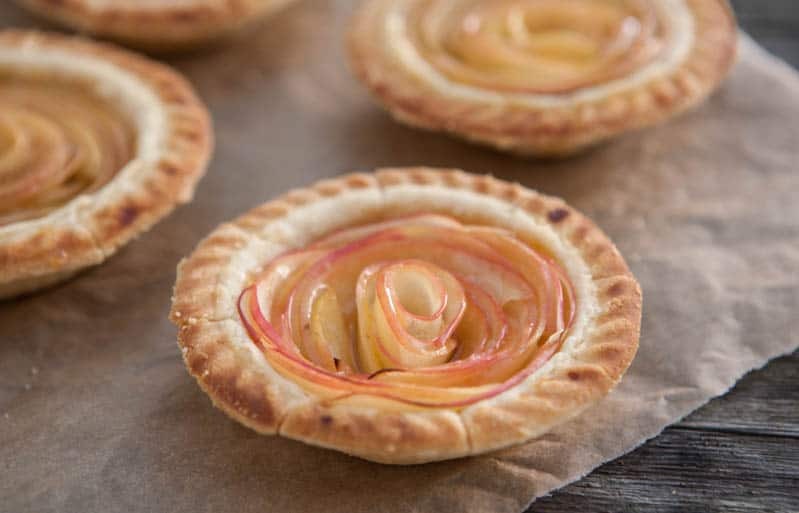 When I saw they were just basically tarts, without all the added sugar, I couldn’t wait to make them. And since I really couldn’t wait for them to cook, I used my new Personal Pie Maker from Breville to cook them in just 10 minutes! The thing that really excites me about these little pies is that they can be made Diabetic friendly very easily. Just omit the jelly in my recipe or use a sugar free jelly to glaze the pies after they’re done cooking. I used Fuji apples for this recipe. You can use any type of crisp apple. Honeycrisp apples would also be delicious. These mini pies would be great for entertaining this holiday season, for a baby shower, or even for a winter wedding. To make more than four pies like I did in my personal pie maker, just use a bunch of mini pie plates. For the crust, I used Crisco’s Classic Pie crust. It’s so tender and flaky, and works well for all sorts of pies. My son helped me make the crust for this pie. He’s such a great little helper! Slice apples very thin in a large bowl and add a few teaspoons of lemon juice to prevent browning. 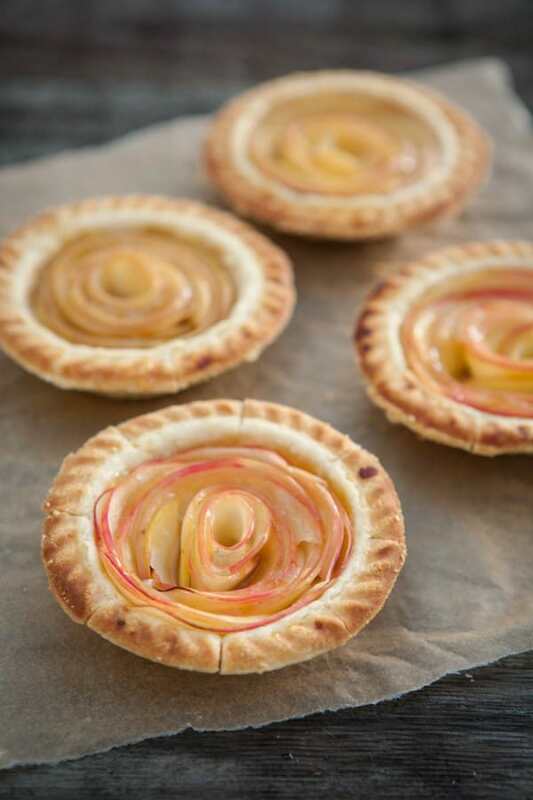 Arrange apples in a rose formation. Bake pies in mini pie pans or in pie maker. Pie maker takes about 8 - 10 minutes. If baking in the oven use 375° for 25 - 35 minutes, or until golden. While pies are still warm, heat wine jelly until it is thin and brush the tops of the pies. Those are GORG! Such a cute idea! SO pretty!! Great idea for holiday parties! Prettiest pies I ever did see! Thanks for include tips on a more diabetic-friendly version. This recipe looks delicious! The only thing I would add is some cool whip. How pretty are these?! I want to add a scoop of vanilla ice cream and dig in! Hi-Spec Conservatory roof blinds from Hi-Spec double glazing.